Hockey season will be kicking off soon, and this time we will look at the leagues that make up the pro hockey landscape in North America. We will save the outdoor games for another report, but will give you the rundown on what has been a busy offseason as far as venue changes go. Take a look at what is happening with arena and team changes as well as alternate venue and neutral site contests so you can make the most of your hockey travels, and maybe have the chance to attend a game in a place that you hadn't thought about before. Joe Louis Arena Detroit, Michigan. The Red Wings will be moving to their new venue, thus making the iconic Joe Louis Arena become a memory. 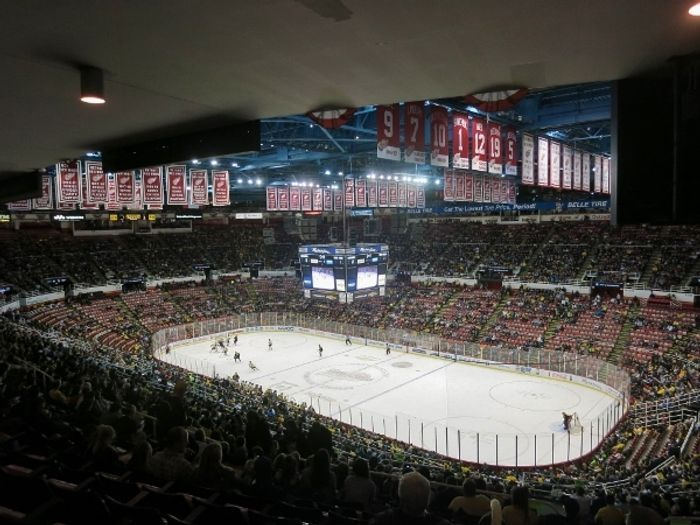 The Joe was hardly the most liked, or most modern arena, but as arenas of its age are quickly being replaced, it will be a bit sad to see it go. Little Caesars Arena Detroit, Michigan. Named after the late Red Wings' owner's primary business, this new state of the art 20,000 seater will be the new home of the Red Wings. T-Mobile Arena Las Vegas, Nevada. The NHL's 31st team will call the desert home at T-Mobile Arena. We will see how that goes as one would think there are better markets to expand to, but the Vegas Golden Knights will call this year-old arena home as there is a lot of hype about the team's arrival. With 31 teams now you would think an additional expansion team would be coming soon, as places like Quebec City and Seattle clamor for the possibility of joining the league. Mile One Centre St. John's, Newfoundland. The Newfies lose out in the reorganization game as the highest level of minor league hockey continues to become less and less enjoyable. With travel always an obstacle to this Atlantic location it is possible that the QMJHL may return someday, but for now Newfoundlanders do have some entertaining senior hockey to fall back on for entertainment on the island. Times Union Center Albany, New York. Albany has seen low attendance over the last decade or so, with the Devils not doing much to help draw fans. With a triple switch the Devils affiliate ends up in Binghamton now. Times Union Center will still see some occasional hockey as the annual Governor's Cup between RPI and Union draws big crowds of college hockey fans to downtown Albany. Place Bell Laval, Quebec. The blue collar suburb of Montreal will see the Habs farm team arriving with lots of buzz and attention. The Laval Rocket stand a good chance of selling out the 10,000 seat arena regularly. 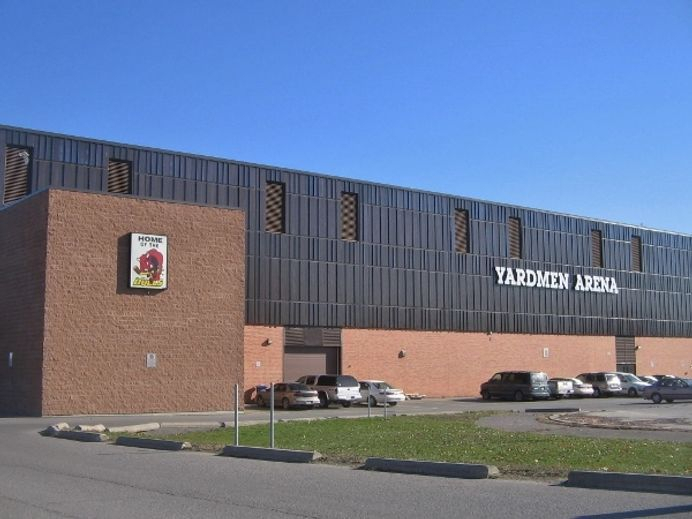 Yardmen Arena Belleville, Ontario. This old school arena had Olympic sized ice and a small capacity when the OHL's Belleville Bulls called the arena home. Renovations to increase capacity to 4,400 and reduce the ice to regulation size will not likely change the old school feel of this place. The Belleville Senators seem a bit out of place and this market seems better suited for junior hockey, but the Sens are throwing the money at it, so it may end up a success. The American League will continue with 30 teams this season, with a 31st club likely added next season. The NHL influence and increased emphasis on development has taken a lot of the fun out of the league over the past few seasons, and we don't foresee a return to the AHL of old anytime soon. There will also be outdoor hockey in the AHL this season, but we will cover that on another report. Sullivan Arena Anchorage, Alaska The Alaska Aces were a staple in Alaska since 1989. Sadly their long run has come to an end, and the franchise was sold to a group who will bring the team to Portland, Maine next season. It is sad to see the Aces go as having pro hockey so far isolated from the rest of the U.S. was an interesting backstory. The University of Alaska Anchorage Seawolves also call Sullivan Arena home, although recent rumors have both Division 1 colleges in 49th state considering dropping their hockey programs. First Elmira Elmira, New York. Elmira will be without pro hockey this season. This was RTR's home arena for 8 seasons, having attended nearly every game from 2006-2014. Mismanagement of the arena and team, and the increasingly boring style of play in the ECHL drove fans away. With the county currently owning the arena and the venue in need of major repairs just to keep it operational it may be a long time before big time hockey returns. DCU Center Worcester, Massachusetts. Worcester will see pro hockey return as the Worcester Railers were announced a year and a half ago. The AHL's Worcester Sharks had trouble drawing, and with the quality of college hockey in New England the Railers will have to work very hard to attract fans in a very knowledgeable hockey market. Jacksonville Veterans Memorial Arena Jacksonville, Florida. Pro hockey returns to Jacksonville for the first time since Jacksonville Barracudas left in 2008. This nontraditional hockey market has few options for hockey fans so the return of pro hockey may spark quite a bit of fan interest. The ECHL will continue with 27 teams this season, although changes are imminent as the Colorado Eagles have announced they are joining the AHL in 2018-2019, and Portland comes on board then as well. Columbus Civic Center Columbus, Georgia. The Columbus Cottonmouths have been a staple in West Georgia since 1996, but have called it quits after failing to find a buyer for the team. 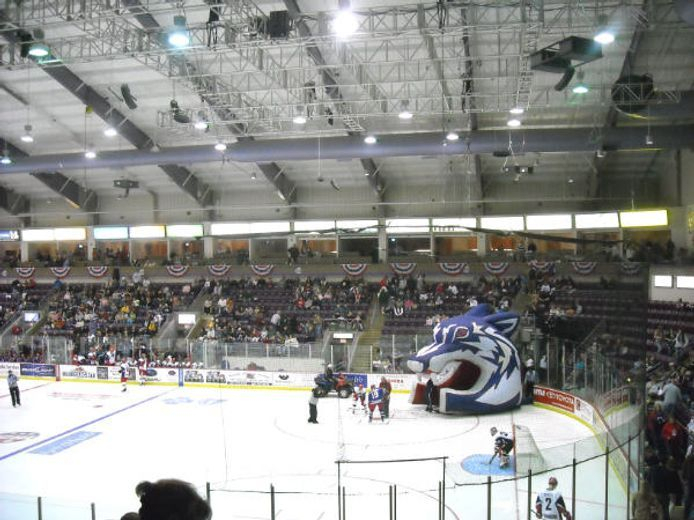 A brief hope in the offseason found the announcement of a new owner wanting to place a team called the Columbus Burn into the arena, but that talk fizzled and the arena will sit without a hockey tenant. Pelham Civic Center Pelham, Alabama. The return of the Birmingham Bulls will bring pro hockey back to the region for the first time since the Alabama Slammers left town in 2004. 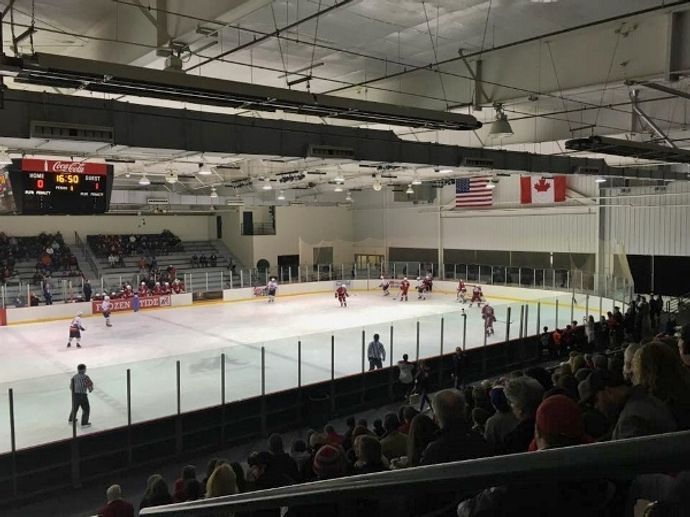 Rather than playing downtown where the WHA Bulls did the team will play in Pelham, a small arena that draws big crowds for Alabama Frozen Tide hockey. The Southern Pro League provides an entertaining product for fans in nontraditional hockey markets, and will skate with 10 teams again this season. Thankfully the league still holds onto a bit of old school style and is not overly influenced by the NHL development model yet. Notre Dame Arena Berlin, New Hampshire. The Berlin River Drivers are the latest casualty of the Federal League merry-go-round. The team managed to draw decent crowds to their tiny barn for the 2 years they existed, but the economics just did not work out, and the geographic isolation will make it had for pro hockey to return here. St. Clair Shores Civic Arena St. Clair Shores, Michigan. Despite being a good geographic fit with nearby rival Port Huron, the Fighting Saints only survived a single season playing out of this small community arena. Danbury Arena Danbury, Connecticut. 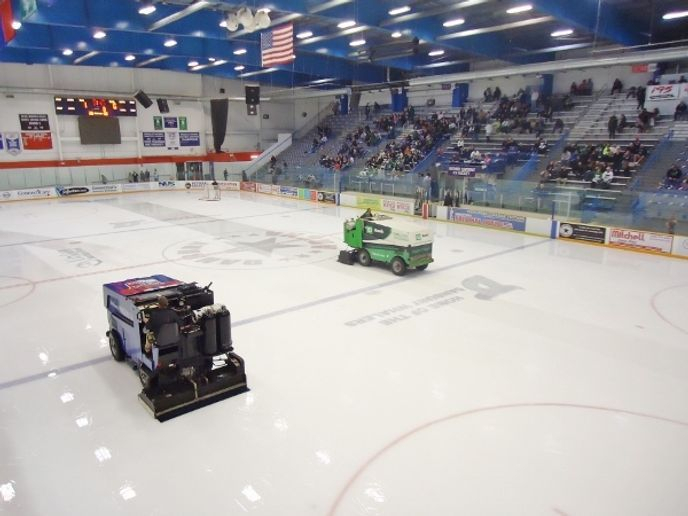 Danbury has one of the most interesting histories of any American hockey city. The UHL's Trashers set the bar very high, and a number of subsequent franchises gave it a go here, but, for now anyway, Danbury is without a hockey franchise. Danbury was seen as the anchor franchise of the FHL so this one hurts a bit. Winston-Salem Fairgrounds Annex Winston-Salem, North Carolina. The Carolina Thunderbirds will expand the FHL footprint even further, but this former SPHL city has taken a year to market the team to fans in the area, who will see hockey back for the first time since 2009. Kingsville Arena Complex Kingsville, Ontario. The St. Clair Shores Fighting Saints have resurfaced across the border in Southern Ontario, and will be known as the North Shore Knights. The Knights also plan to play alternate site games in a number of small towns further to the north, and we will see if the Ontario fans take to the FHL as most have other options when making their hockey choices. Gravenhurst Centennial Centre Gravenhurst, Ontario. One of the alternate locations that the Knights have on their schedule is Gravenhurst. This area has seen junior hockey thrive for decades, and will host multiple alternate site FHL games this season. Le Centre de Temiscaming Temiscaming, Quebec. The home of the GMHL's Temiscaming Titans sees large crowds when the GMHL team is in town. Multiple games for the North Shore Knights are on the schedule here. South River-Machar Community Centre South River, Ontario. The tiny town of South River will see FHL action on more than one occasion as the Knights have chosen this small town as one of their alternate locations. The Federal League keeps chugging along with lots of franchise turnover, but has lasted longer than quite a few pro leagues have. It offers fans in areas that may not have access to hockey otherwise a chance to root for their team and be entertained. Colisee de Laval Laval, Quebec The arena where Mario Lemieux played junior was most recently home of the Predateurs of the LNAH. This old school barn will now be without a major hockey tenant with the AHL's Laval Rocket cited as the reason for the team's decision to fold. Fans can relive a piece of the Colisee as it is the main shooting location for the documentary Les Chiefs which covers the Laval Chief's who used to call the Colisee home on the rough and tumble Quebec pro circuit. The LNAH is now down to six teams, but is an absolute must-see for hockey fans as the atmosphere and experience fans can breathe in at the arenas in this league is like nothing else we have encountered. We will be back with reports on college hockey, outdoor games this season, and possibly a look at showcase tournaments where can can overload on hockey over a weekend of games. We hope you will use this information to possibly attend a game at one of the arenas mentioned here. Hockey season is here. 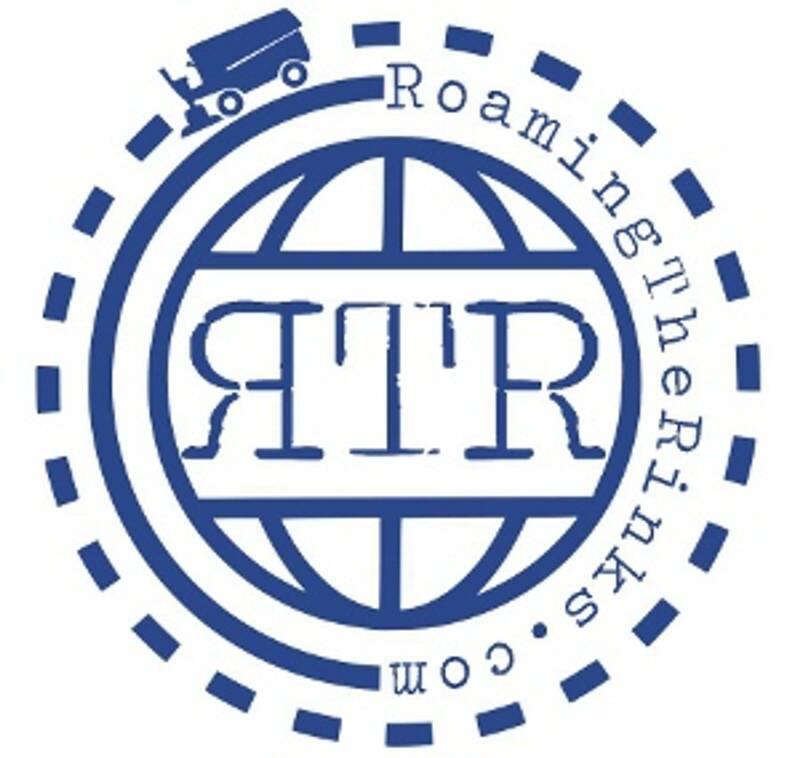 Get out on the road and enjoy some different arenas this season as every arena has a story.